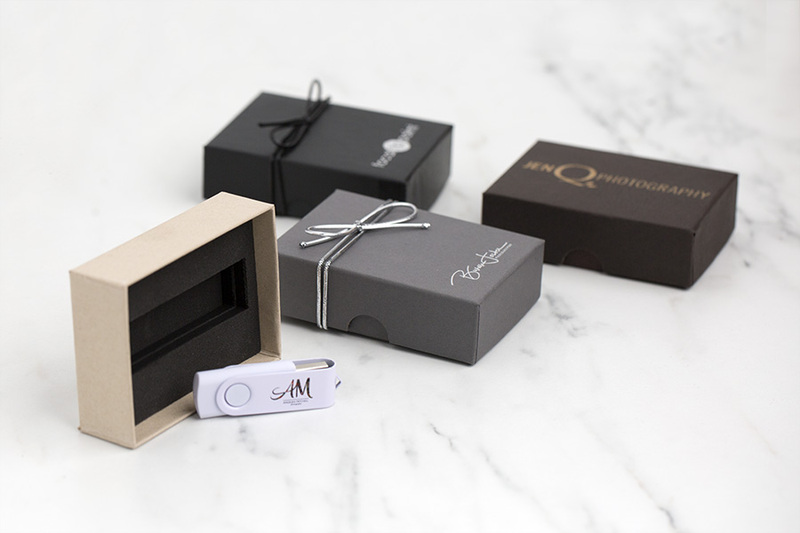 They Tyndell USB Kit is an affordable, yet elegant way to package and delivery your USB Drive with your digital portrait files to your customers. 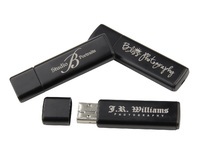 Customize the USB Kit with either FREE Engraving, or Foil imprinting at the standard charge of $0.065/ea - $13.00 minimum. 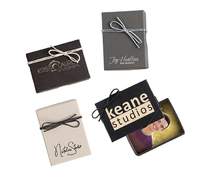 You can coordinate the USB Kit with our collection of portrait boxes for your prints in Black, Chocolate, or Kraft. 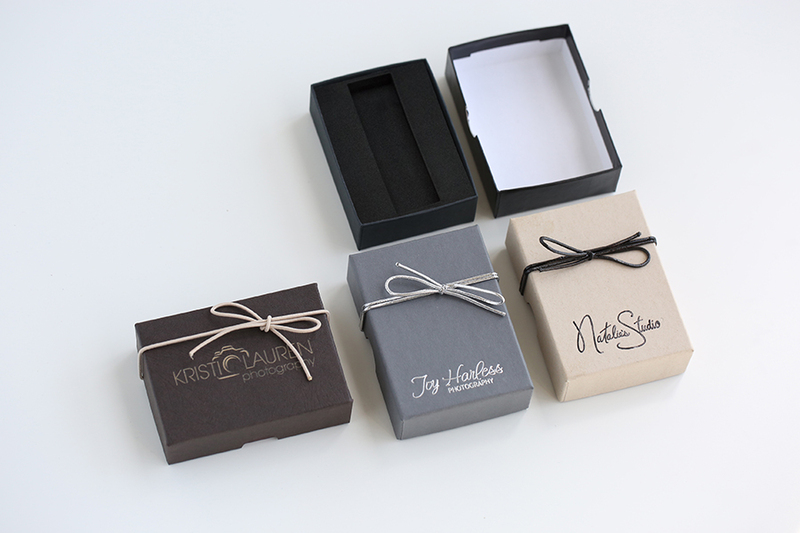 The kit includes (1) Portrait Wallet Box, (1) Foam Insert, and (1) 10" stribbon. Swivel Flash Drives are sold separately. 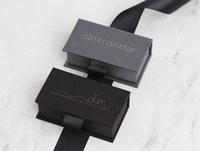 Constructed out of 0.45 dense board with a custom wrapped paper and white paper interior. Includes (1) Portrait Wallet Box, (1) Foam Insert, and (1) 10" stribbon. Each USB Kit is sold separately. Easy to open design with side thumb cut outs. Designed to hold a single USB (sold separately). Customers who purchased a Tyndell USB Kit also purchased these items.